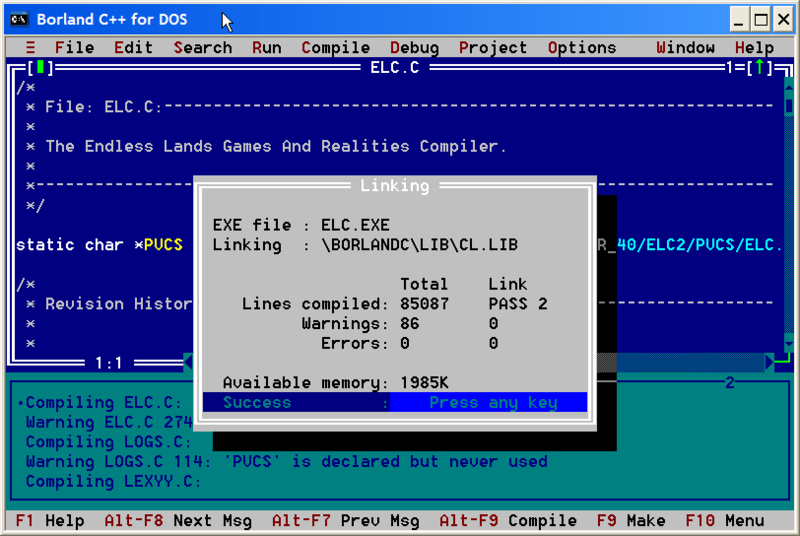 Use BIOS fonts in Turbo C and Borland C++. sizes as can the default bit mapped font. would be the bios fonts that come with the machine. characters to the graphics screen at any pixel. on the TPU and how to use the functions. With version 1.1 the package has been made library independent. supports EGA mode 13 (320x200x16) and VGA mode 19 (320x200x256). BIOSFONT.H - The interface to the BiosFont Unit. FONTDEMO.C - A short demo program. BFONT_S.LIB - Small model library to test the functions. you would any software you have purchased. generate background color for the fonts. Version 1.1 now supports EGA 320x200x16 and VGA 320x200x256. that are readily available on most BBSs are VGA16 and VGA256. are a siding salesman or something and won't accept it. category. Finding articles with a record mask is also available. or ARC file. This can be frustrating and very time consuming. category names (each with 20 subcategories. color to VGA 16 color. drawing modes. Pattern and solid figure fills are supported. provided with the option of adding other GEM type fonts. libraries have an OOP flavor to makes it very easy to use. languages, so there are no extra graphics libraries to buy. Scroll bars and much more. Boxes - Choice boxes, Directory boxes. Full source code comes with the package. graphics are not destroyed where the character is not printed. You can also mix the fonts on the screen for different effects. much else to buy. The exception to this is the JPI compilers. the way you want and library takes care of the rest. Expected to run about $25.00. C++ which will have the object oriented interface. SVGA cards. Expected date is the end of 1991.